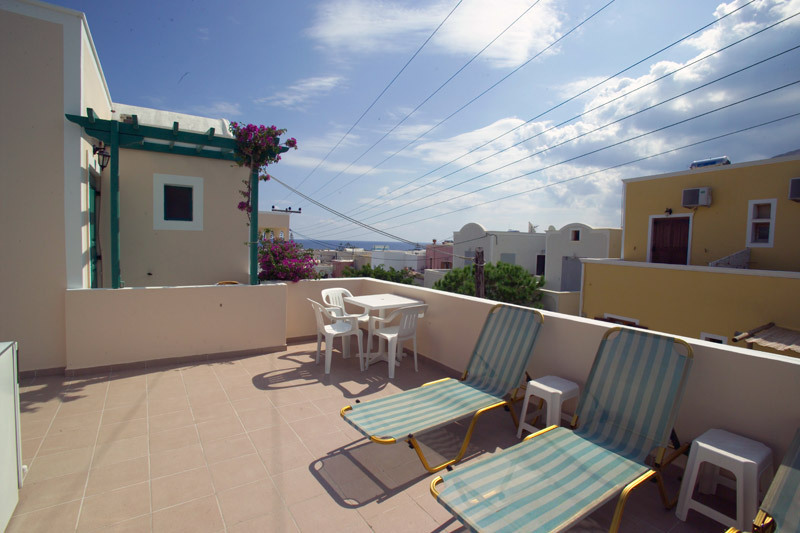 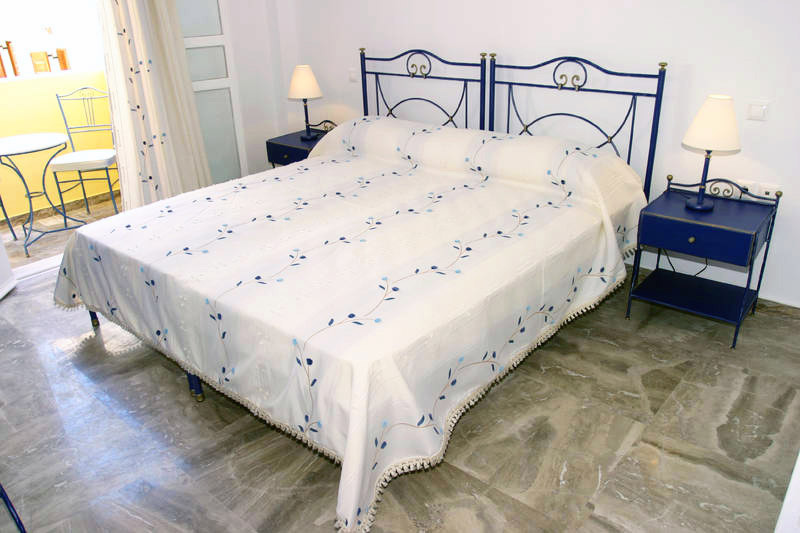 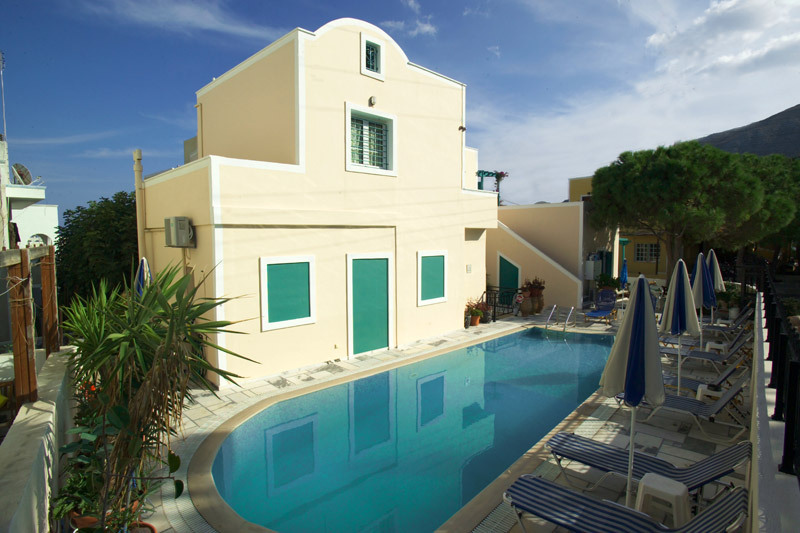 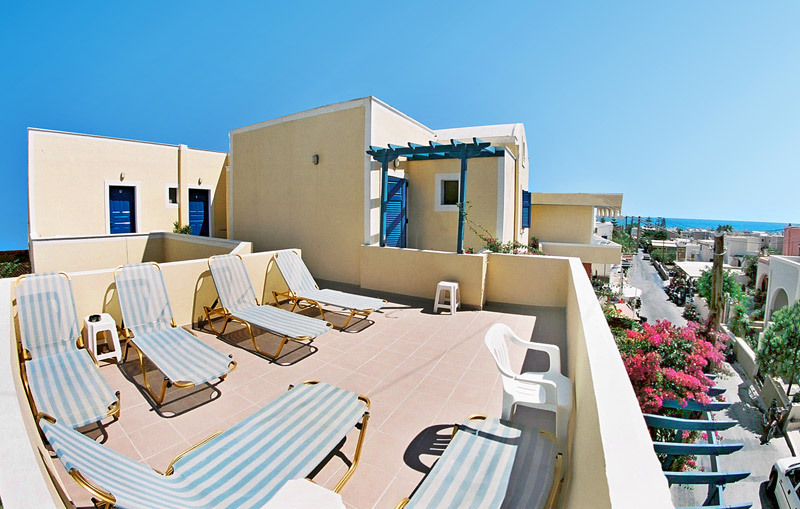 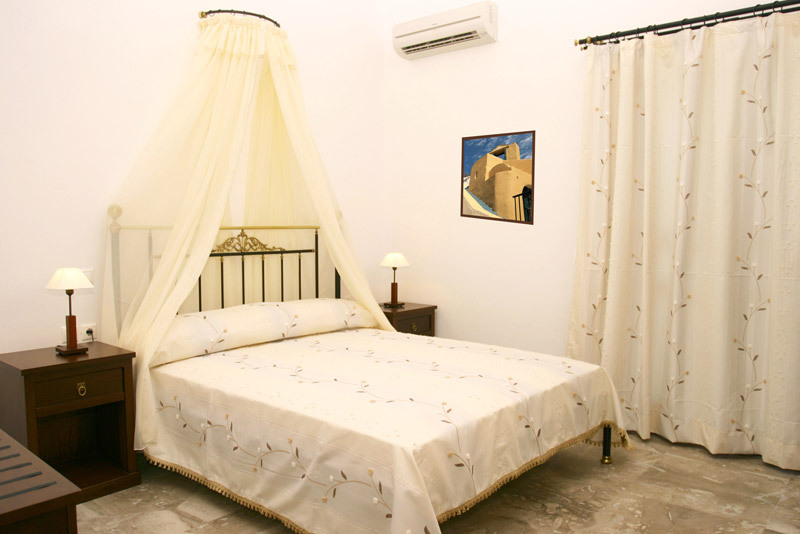 In the eastern part of Santorini island, one will find the beach of Kamari and 100 meters from this magnificent black sandy beach, Mary studios and apartments. 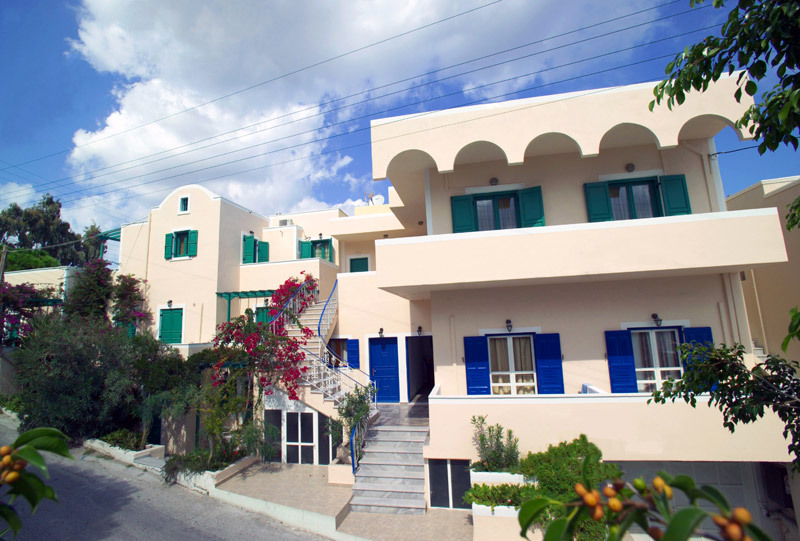 Set in the center of Kamari resort, this well maintained, attractive accommodation offer lovely views of the surroundings. 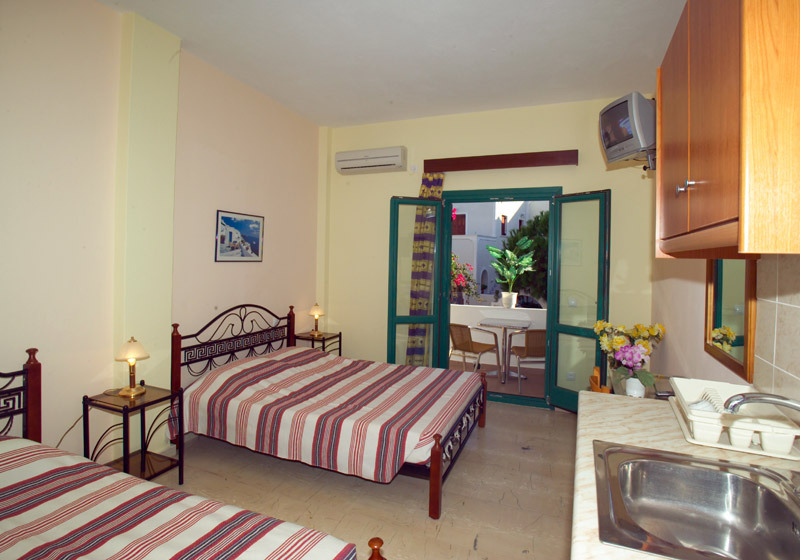 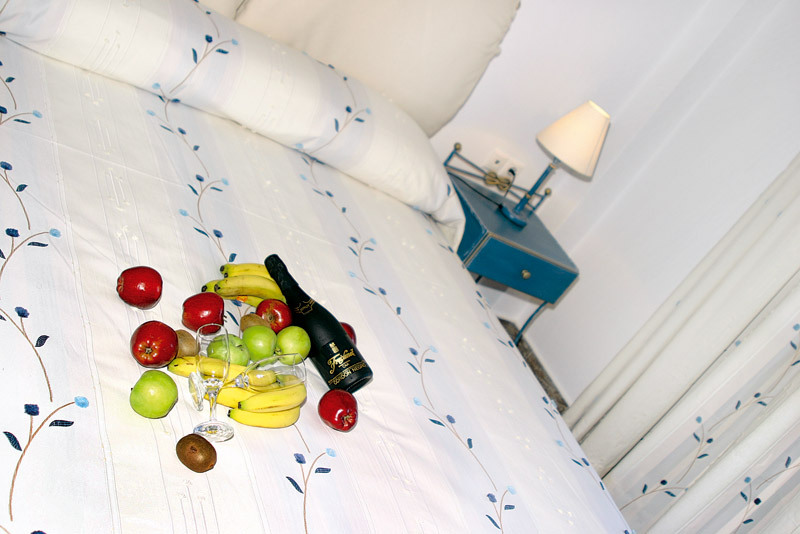 Within 3 minutes walk, guests have the opportunity to reach the beach, the restaurants, the taverns and the bars.